It Is Sure Cold Out………..Brrrrrrrrrrrrrrr…….. – …………. ''AND LET THE FUN BEGIN''…………….. It Is Sure Cold Out………..Brrrrrrrrrrrrrrr……..
First thing I want to mention is, I have added pictures to the Family portion of this blog. If you look at the header section, you will see FAMILY. I have added some of my favorites. So hard to chose, but these are some good ones. I also added a page called Crafts. Some of my favorite things that I have made. Crafts is one thing that we will continue when we finally go full time RVing. Hoping to do some Flea Marketing. I have also changed my ideas on some things. I have some great ideas on things to make with the sewing machine that RVers would like. Just one thing is, what do you do with your jewelry to try to keep it nice with out taking up space. Its all about space ya know. How about a jewelry type pouch that is on a coat hanger to hang in the closet. Your necklaces will hang and not get tangled and will be safe and covered and NOT take up space. I have patterns for a number of items. Woke up this morning to chill breeze coming in the windows. It felt so good to snuggle under the covers and know I don’t have to go to work. My two days are done for the week. lol…So so nice. But it is sure a teaser. The first day back isn’t to bad, but Wed. which is my second and last day of the week, is SO so hard. I swear, I think the day was 12 hours long. It sure seemed that way. So this morning I got up finally, after the sun came up. lol. Another dentist appointment today. Called the wax bite tryon. So made it through that and went and visited Tammy a bit before going home. I want to tell you about one of my passions. The Hegler Carus Mansion. 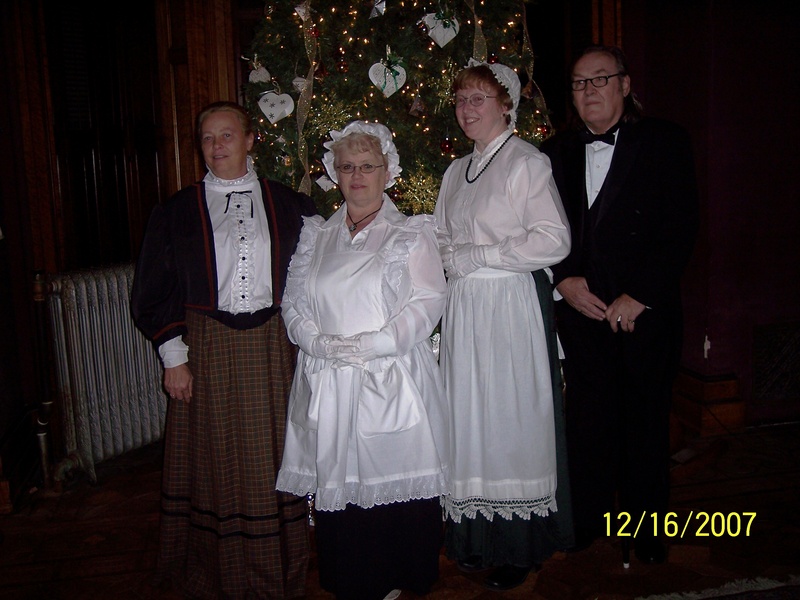 I am a Volunteer at the Mansion (docent). I have been giving tours on the weekends since 2007. What an awesome historical home we have here in LaSalle Illinois. I was never interested in history until the year my sister came for a visit from Albuquerque New Mexico. She had been away for so many years, all she wanted to see was old big Illinois homes. The mansion had been in the paper because of the renovations that had been going on and the tours were being increased. So I told Anna, I know of a place we can go see. It was 3:00 on a Sunday afternoon. The last tour of the day. Wow, we made it. We were both so so amazed at the home. Several months later I read an article in the paper. They were giving classes for several weeks to learn about the history. Of course I signed up. That was all it took. I wanted to learn all I could. The Tour Director is Tricia Kelly. She is so AWESOME. Her love and enthusiasm of the home is so apparent. One cannot help but love her and the devotion she feels for the house. She is just a wealth of knowledge, and loves to share it. She is a perfect match for the job. They also have a new Executive Director, Kelly Klobucher. She has been with the Mansion for the past 3 or more years now and has made tremendous strides in modernizing the marketing program. She has so many wonderful ideas. So many great activities are planned every week of every month. 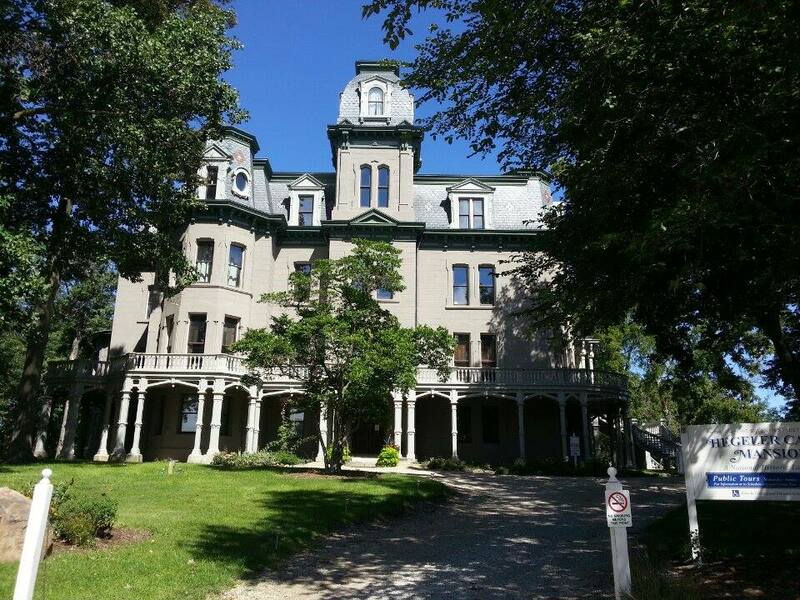 She also has started a Hegeler Carus Mansion facebook site for those of us that like to follow. I have never found anything so rewarding as the time I spend at the Mansion. The feeling the house transmits when you are in it, is so peaceful and serene. If only the walls could talk. It is such a joy to share the knowledge that I have learned of the family that lived their and raised their children. I am also going to start another page on the top in the header area. Hegeler Carus Mansion. I will include a short history of the Hegeler Carus family and pictures. It is a place that everyone should take the time to visit if they are in the area. The grounds of the Mansion is so beautiful. 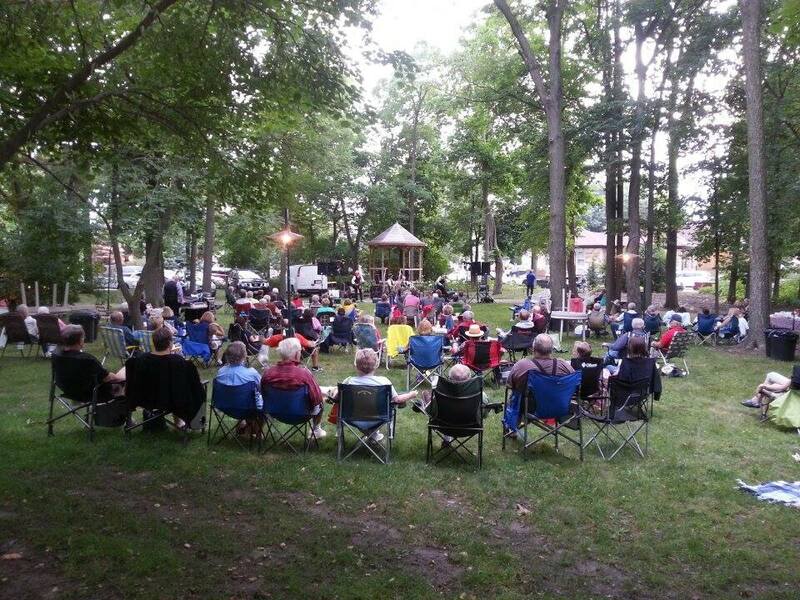 In the summer they have a Concert Summer Series of Artists from the surrounding area. Anywhere from country to jazz to 60’s England Invasion music. They play every Friday nite on the west lawn. Everyone brings their lawn chairs and is welcome to bring a lunch. I even see people bring Cheese trays and crackers and a bottle of wine. So relaxing…. This Mansion was built in 1872. It is 7 stories high, 57 rooms and 16,000 square feet. Edward and Camilla Hegeler raised 10 children and their first born was Mary. Mary married Paul Carus and raised 5 children in the home. Edward started M &H Zinc in 1858, and Open Court Publishing in 1887. Carus Chemical was started in the 1920’s next door. M & H closed in the 1970’s. Open Court Publishing is still thriving. Carus Chemical is now in operation across the USA and Europe and Asia. Quite a feat for a Man. They have a wonderful website http://hegelercarus.org The house is on the National Landmark Registry. ← Dentist Appointment #2 DONE…….